As a Client Advocate, Mia is responsible for optimizing existing IT services as well as sourcing best-in-class data center, cloud, connectivity, and security solutions that enable her clients to grow with the needs of their end-users. 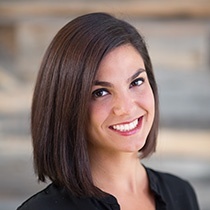 Before joining StrataCore, Mia worked as a Project Manager for a residential remodeling company. She prides herself on managing multiple projects at a time while delivering exceptional customer service and strong support to her team. She received her BA in Communication & Social Sciences from the University of Washington with a 3.82 overall GPA and annual Dean’s List achievement. She also received a MA in Communication & Project Management from the University of Washington with a 3.9 overall GPA.